Designer Stella Jean is a rising talent who merges culture with contemporary to create beautiful fashion. Emerging designer Stella Jean had the opportunity of a lifetime by being selected to present her ethical collection in Giorgio Armani's Theatre at his Milan Headquarters. Using hand woven fabrics made from women from Burkina Faso, designer Stella Jean manages to merge her culture with Italian style. She says, "We have to understand that we must think differently...there is no African or Italian...they can't work unless they start a dialect together." Her show was all part of the International Trade Centre Fashion Initiative. This project aims to help use fashion to get people out of poverty. 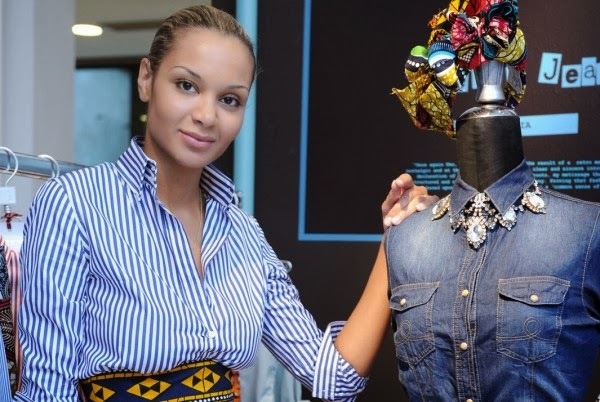 They connect fashion designers with local artisans in Africa and Haiti to produce fashion that allows women to feel empowered and earn an income. Stella Jean sourced some of her materials in Burkina Faso.